This is a list or table of chemicals that can kill you. Some of these poisons are common and some are rare. Some you need in order to live, while others you should avoid at all costs. Note that the values are median lethal values for an average human. Real-life toxicity depends on your size, age, gender, weight, route of exposure and many other factors. This list just offers a glimpse at a range of chemicals and their relative toxicity. Basically, all chemicals are poisonous. It just depends on the amount! Looking at the list of poisons, you might be tempted to think lead is safer than salt or bee sting venom is safer than cyanide. Looking at the lethal dose can be misleading because some of these chemicals are cumulative poisons (e.g., lead) and others are chemicals your body naturally detoxifies in small amounts (e.g., cyanide). Individual biochemistry is also important. While it might take half a gram of bee venom to kill the average person, a much lower dose would cause anaphylactic shock and death if you're allergic to it. 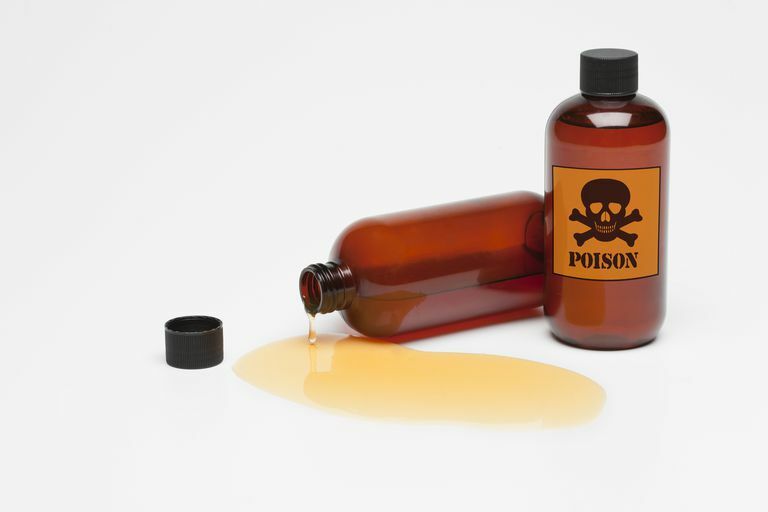 Some "poisons" are actually necessary for life, such as water and salt. Other chemicals serve no known biological function and are purely toxic, such as lead and mercury.